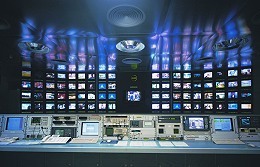 SES provides All Media Baltics with satellite transponder capacity. Luxembourg, December 2017: All Media Baltics’ Pay TV subscribers will be able to enjoy the broadcaster’s channel package in HD quality, including its original premium TV channels, at 5 degrees East, following a multi-year capacity agreement announced by SES. Under the agreement, All Media Baltics will use several transponders of satellite capacity on ASTRA 4A to distribute its five original channels and its pay TV channel package to the Baltics, which includes movies, entertainment, and sports. All Media Baltics was created in October 2017 after Providence Equity Partners acquired all of the media and Pay TV companies of Modern Times Group in the Baltics, which was already relying on SES for delivery of its TV package at 5 degrees East. With this agreement, All Media Baltics ensures continuity for audiences and leverages the wide reach of SES’s prime orbital position over the Nordic and Baltic region: SES reaches 1.73 million TV homes in the Baltics at that slot, representing 65% of all TV homes in the market.